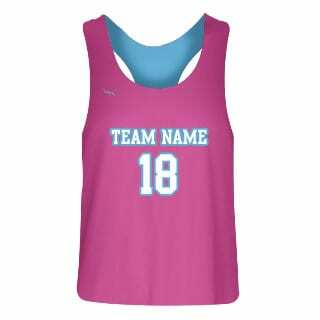 Womens and girls sublimated lacrosse jerseys are available in hundreds of color options. Add your favorite logo, design or print. Made to order in Kensington, Maryland. Design online or have one of our artists design your sublimated racerback pinnies for you. Available in adult and youth sizes. Special team quantity discounts are available.